"The ... founders, benefactors, and the brotherhood of this holy temple ... may the Lord God remember in His kingdom, always, now and ever, and unto the ages of ages." Our abundant thanks to the many donors who have helped us over the last 8 months. 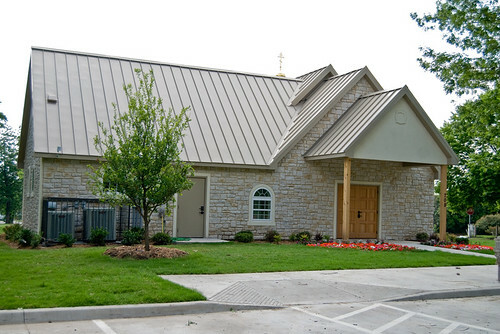 Through your generosity, we have met our goal of raising $40,000, have successfully raised most of the needed landscaping funds through our "sponsor a tree" drive, and have finally begun to worship in the new temple. Thank you, and may God bless you and help you in all things. All of your names have been added to our permanent benefactors dyptichs, and are commemorated every week. Pictures of our progress over the last year are available on our "Building Project Chronology Page", and the most current pictures are available on this page and on our flickr site. While the building is done, the fund is not. We have incurred a number of short- and long-term debts in the final months of this project, and our building fund is now dedicated to paying down these debts so as to reduce our monthly debt servicing budget and free our income for the many other things that a christian parish should be doing. As with all our benefactors, we promise to you that we will pray for your loved ones perpetually in the Divine Liturgy. We written into our by-laws that all benefactors should be prayed for in the liturgy by all rectors. For more information, see our "Sponsor a Tree" flyer (also in PDF and Word) and our Online Spreadsheet with up-to-date information on which trees have been sponsored and how much is still needed. You can also find pictures of our building progress on our "Building Project Chronology Page". 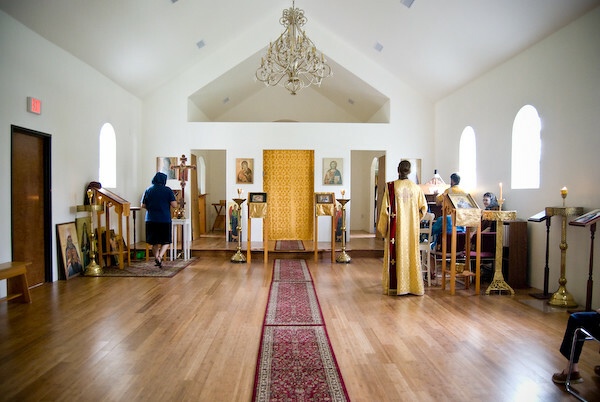 As with all our benefactors, we solemnly promise to you that we will pray for your loved ones perpetually in the Divine Liturgy. We written into our by-laws that all benefactors must be prayed for in the liturgy by all rectors. 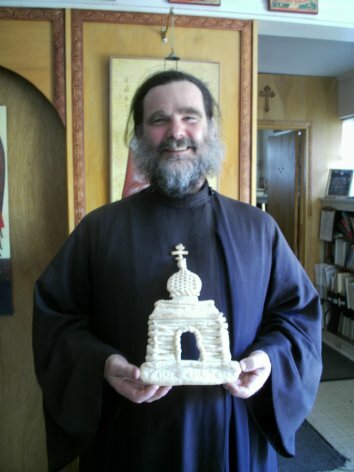 We are an active Russian Orthodox Christian community. Our Sunday services are in English with many hymns repeated in Slavonic. We have outreaches to the community in the form of prison ministry, nursing home visitations, and a full liturgical and teaching schedule. 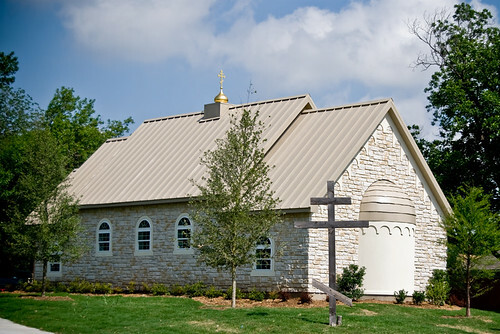 We are the only church in the Metroplex which follows the same calendar used in Russia and regularly includes Slavonic and English in our services and homilies.